Electromagnetic phased arrays at radio frequencies are well known and have enabled applications ranging from communications to radar, broadcasting and astronomy. 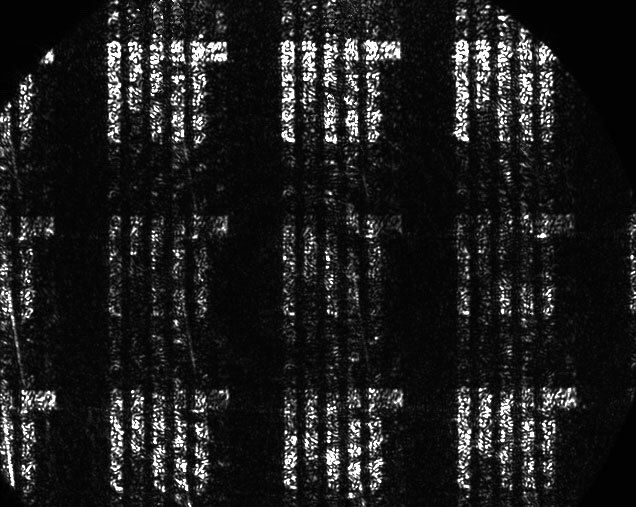 The ability to generate arbitrary radiation patterns with large-scale phased arrays has long been pursued. Although it is extremely expensive and cumbersome to deploy large-scale radiofrequency phased arrays, optical phased arrays have a unique advantage in that the much shorter optical wavelength holds promise for large-scale integration. However, the short optical wavelength also imposes stringent requirements on fabrication. As a consequence, although optical phased arrays have been studied with various platforms and recently with chip-scale nanophotonics, all of the demonstrations so far are restricted to one-dimensional or small-scale two-dimensional arrays. Here we report the demonstration of a large-scale two-dimensional nanophotonic phased array (NPA), in which 64 × 64 (4,096) optical nanoantennas are densely integrated on a silicon chip within a footprint of 576 μm × 576 μm with all of the nanoantennas precisely balanced in power and aligned in phase to generate a designed, sophisticated radiation pattern in the far field. We also show that active phase tunability can be realized in the proposed NPA by demonstrating dynamic beam steering and shaping with an 8 × 8 array. This work demonstrates that a robust design, together with state-of-the-art complementary metal-oxide–semiconductor technology, allows large-scale NPAs to be implemented on compact and inexpensive nanophotonic chips. In turn, this enables arbitrary radiation pattern generation using NPAs and therefore extends the functionalities of phased arrays beyond conventional beam focusing and steering, opening up possibilities for large-scale deployment in applications such as communication, laser detection and ranging, three-dimensional holography and biomedical sciences, to name just a few.